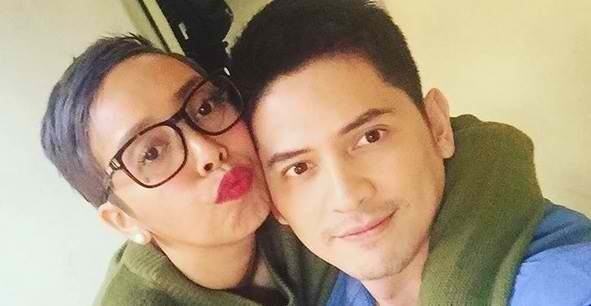 Actor Ahron Villena couldn't help but react on comedienne Cacai Bautista's recent statement who said she accepts the actor for who he is. In a recent interview with the entertainment reporters, Cacai talked about her meeting with Ahron over dinner. She was asked if Ahron has introduced a 'special someone' to her. In response, she said: "Sinagot ko na 'yan dati. Alam ko naman 'yun, and accepted ko naman kung ano man siya." "Tanggap mo kung ano ako? Saan galing 'yun? Bakit, ano ba ang alam mo sa pagkatao ko? Naging tayo ba? Ako, ang alam ko, NEVER naging tayo. Nanahimik ako kasi marunong akong rumespeto sa babae." The two became the talk of the town last year when their sweet photos together rounded on social media.